Buying a horse that has been heavily treated with Bute or a similar medication is costly in several ways. We’ve been there, done that! First, you paid your good money for a horse you didn’t get. Second, you now own a horse that has some sort of problem. Third, you feel cheated and slicked. All of this assumes, the horse didn’t blow up and throw you or get you hurt when you learned you didn’t get what you thought you bought. Ace, Bute, pain killers, calming drugs, and mood altering medications can be hard to spot, sometimes impossible depending on the substance and without time for it to wear off and dissipate the system. So how can you avoid the unscrupulous seller who wants to give you his problem in exchange for your hard-earned cash? Here’s a few ways we learned over the years. First, you shouldn’t just buy a horse. You should also be “buying the seller”. In other words, if you don’t know the seller and have confidence in what you are being told, don’t buy the horse. Sure it may look pretty and may appear sound and quiet, but those qualities aren’t enough by themselves. It is important to know if the seller is honest, actually knows the horse, and has the communication skills to relate the knowledge about the horse to you in a meaningful way. In short, you need to know the seller or accept you are taking a risk. Second, ride the horse several times before you buy. Watch for a horse that is unresponsive to situations that should generate attention. For example, wave a trash bag and watch the eyes and head. If the horse doesn’t widen his eyes or turn his head to see what is taking place, there’s usually something amiss. Ask if you can show up without notice and call when you arrive at the gate. Don’t give the seller the time to administer the next dose. While it doesn’t take long to medicate, the uncertainty makes it easier for you to spot. Did the seller bring the horse out or were you allowed to follow him to catch the horse? Attention to the details of the situation can tell you a lot. Third, ask questions and not just once. Listen to the answers for consistency. Ask straight up, has this horse been given medications or fed anything that will affect his disposition. Some sellers will flat-out lie, but others will grudging admit if asked a direct question while looking them in the eye. At the end of the day, there is nothing better to ensure a healthy and drug-free horse than actually knowing the horse and the seller. So get to know them both before you load the horse in your trailer. Are Your Horse Training Expectations Realistic? Would you like to drive down the road knowing the neighbor’s 16-year-old teenager with 90 days of driving experience was operating an 18 wheeler? What about your own teenager? Would it make a difference if he made an A in driver’s ed? The answer is obvious, the lack of training and experience makes the idea completely unacceptable. Let’s take it a step farther. Is your teenager smarter and more capable of learning than a horse? Unfortunately many people have the notion that a horse has the ability to learn everything necessary to make a good trail horse in 90 – 120 days. It doesn’t happen that way. 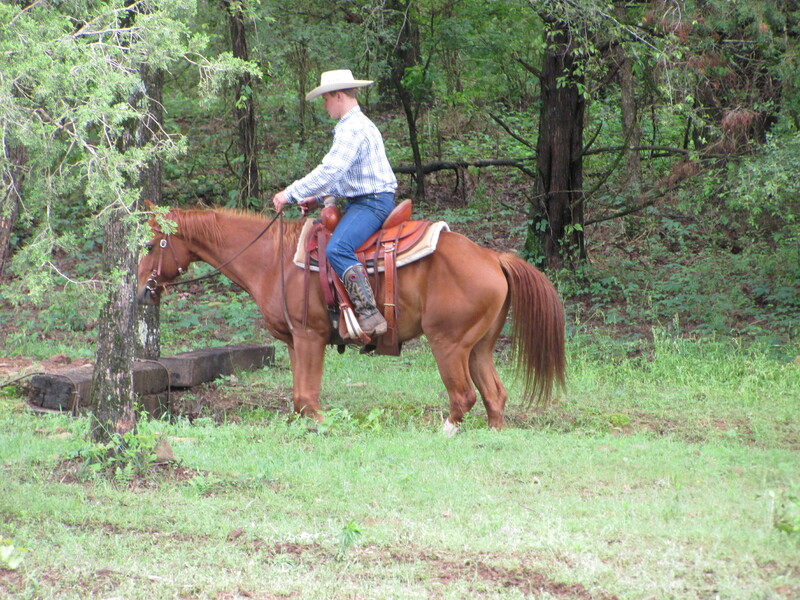 A solid trail horse takes training and experience. Just like a kid learning to drive, it takes time combined with knowledge about how to appropriately deal with the situation at hand. Your horse is no different. Any other expectations are unrealistic. Horses have limited intelligence compared to humans and suffer the natural language barrier that allows us to communicate ideas and concepts to one another. 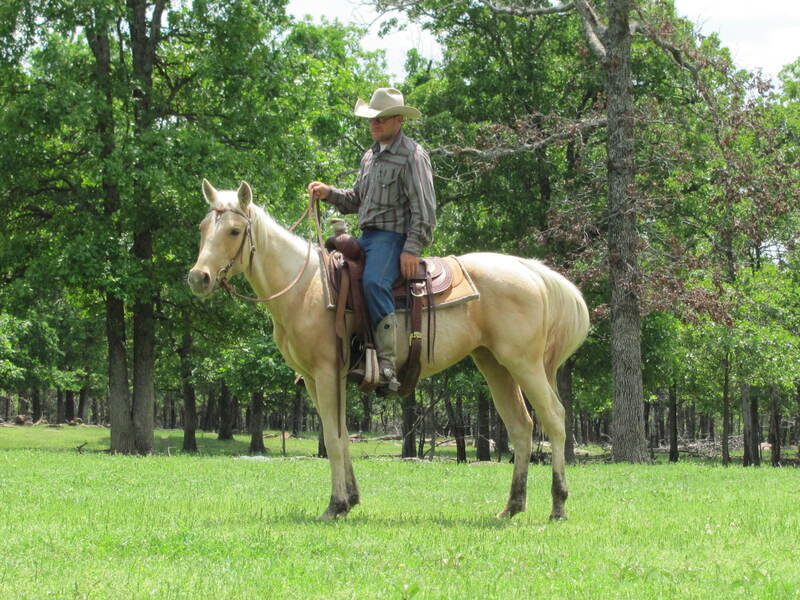 It takes years, not months to make a good trail horse. Some horses learn faster than others and certain trainers have more skill and ability to teach, but no one has the ability to turn out an experienced, well-trained trail horse in a few months. So if you are looking for a horse you trust, find one that has been given the time, patience, and effort required to properly train it. Also make sure the horse has the mind it takes for a quality trail horse. Just like some people don’t belong behind the wheel of the big rigs, some horses don’t have the mental and emotional makeup for the trail and unexpected things that come up. 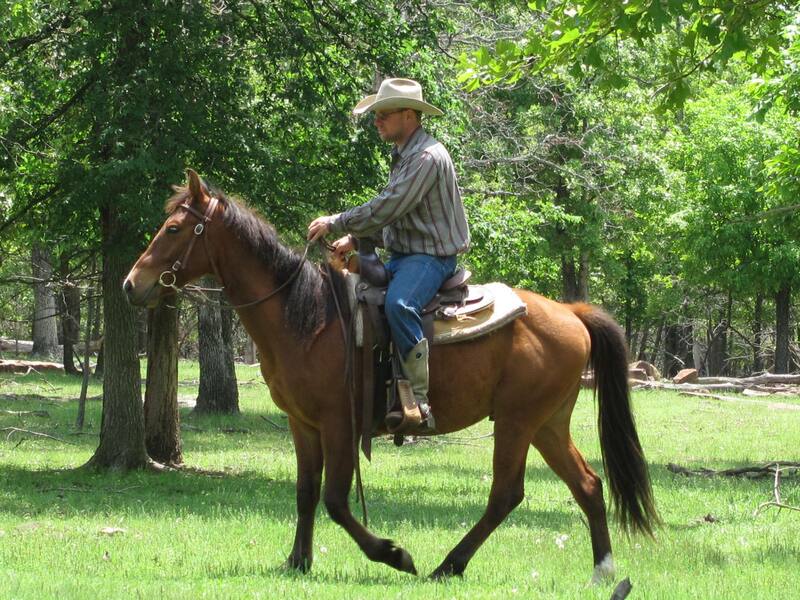 We frequently receive inquiries from people wanting horse training. Many times these horses aren’t suited for the job. They are naturally too high-strung to develop into the quality horse we want. It doesn’t mean the horse can’t be ridden on the trails by an experienced rider, but the horse will not become the quiet, willing, and trusting steed they hope to have. It isn’t going to happen no matter how many thousands of dollars they spend on training. Our program selects horses physically, emotionally, and mentally fit to do the job. Do we always get the right horse? Absolutely not. We have to cull those that aren’t capable and from time to time load the trailer for the sale barn if a horse we thought would work just doesn’t cut it. While we put a lot of effort into finding the right material from the start, the only way to really know is to put the horse in the program to see what he can and will do. When our horses graduate, the customer is receiving the benefit of our selection, culling, training, and two-years of wet blankets on the trail and working at the ranch. If someone tries to tell you they can do all of this in 90 -120 days, consider letting them teach your teenager to drive. In closing, if you have unrealistic horse training expectations, you will undoubtedly be disappointed. Ever have one of those weekends where you planned to work with your horse, but your spouse had other plans. Yeah, you know those honey do projects that you’ve been putting off. Last winter when it was cold you promised to build the deck in the back yard and now it doesn’t exactly fit with your horse training plans. Well, don’t over look these opportunities to keep your promise and train your horse at the same time. A couple of days back, we had a project to do that involved some light construction. Saws, drills, hammering, and a lot of yelling when thumbs were hit instead of the nail. It was a great chance to conduct a little training. We saddled a horse and stood him right next to the work area. He got to watch and hear the saws, drills, and yes the hollering. At one point, one of the helpers complained about me pounding the hammer on a pry bar and said it hurt his ears. No problem, I pulled my boards over and dropped my stuff directly in front of the horse and went back to work. Clang! Clang! Clang! Next the saw was needed and it screeched as it started to bind in the board. I’m not sure the horse learned how to cut boards very straight, but he stood quietly in the shade about 4 feet from the work and observed. The horse did his part as well and came in handy. As usual, there were a couple of things left behind at the barn so he was used to run the errands back and forth. The point is we do ranch work with our horses and they learn to accept all sorts of sounds and noises from chain saws to heavy equipment to you name it. But you can do the same with your own chores. Saddle up and let your horse watch and participate. No it’s not as much fun as riding, but it is beneficial for the horse. When you mow the yard, is your horse around or out in the pasture. Why not take a few minutes, saddle, and let him stand there. Don’t forget the weed eater, they make a lot of noise too. There are all sorts of noisy little tasks that you can use as training tools. Mud in the truck that needs cleaned up. Grab the shop vac and go to work. It’s another new sound for many horses. As a reminder, don’t tie your horse to the mirror on the truck the first time you do it. Give it some thought and see if you can come up with some simple, but effective horse training that will pay off for you. Your riding buddies will be amazed at your ability to train your horse (and still finish those honey do’s). Here’s a few things to think over if you want to prevent your horse from becoming barn sour. 1. Don’t feed him the minute you finish your ride unless you want him to enjoy quitting a little earlier every time. 2. When you finish your ride or your training, tie him up and let him stand while you do some chores. Don’t let him think the day is over just because you stepped down from the saddle. 3. Make a point to ride into the barn when you aren’t planning to stop and then ride back out again. Make a habit of going back to the barn for something and then heading back out. 4. 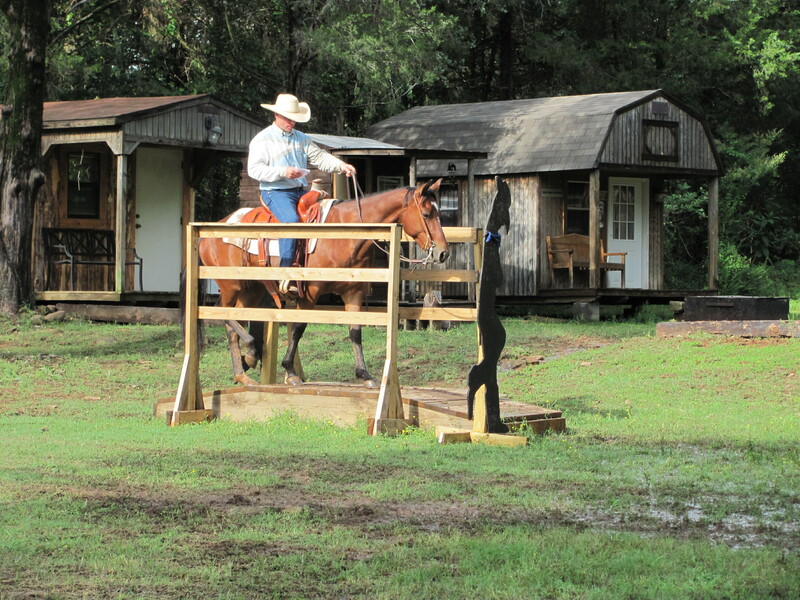 Take an all day trail ride and create a “wet blanket”. 5. If your horse has a buddy at the barn, separate them for a few days. Take one out of sight and leave him tied for several hours. No he won’t like it, but it will help get past the anxiety of leaving his buddy. 6. Catch your horse when you don’t plan to ride and saddle him. Leave him tied with the saddle for an hour to soak. 7. Mix up your routine frequently so he doesn’t figure out what comes next. Ride into the barn, unsaddle him for 10 minutes and then saddle back up again. 8. Never set a schedule you don’t want to keep. Your horse is learning you and what you do. As soon as he figures you out, then he starts to look for ways to shortcut the schedule. After all, he’s busy and you’re interfering with his off time. Keep him off-balance by changing up things regularly. 9. Be ready to miss something you planned to do. Unfortunately, your horse knows when you need to be somewhere. He can sense it. If you have plans, sometimes you have to change your plans to make sure he gets the training needed right that moment. The willingness to stay late to work on the problem let’s him know how much you really care. Maybe not care about him, but care about how he is going to act. 10. Make sure you walk back to the barn and don’t let him hurry back. If he starts to speed up, make turn circles every few steps one way and then the other. Let him choose whether he wants to walk slow or work hard. A barn sour horse is no fun, not to mention dangerous. Barn sour simply describes a horse that will take the rider straight back to the barn if he isn’t restrained and sometimes even when the rider is trying to hold the horse back. The worst cases are those where the horse runs full speed and doesn’t stop until inside the barn, thus the term barn sour. Some horses aren’t as bad, but still have the mind-set that going for a ride isn’t as much fun as standing at the feed trough. These horses may not run to the barn, but engage in some annoying habits. For example, the horse may walk really slow away from the barn and walk really quickly any time you turn towards it. They may even want to trot a little. Others may continually turn their head and gaze back while watching for the opportunity to turn around. Generally, if not corrected in the early stages, the situation just keeps getting worse. 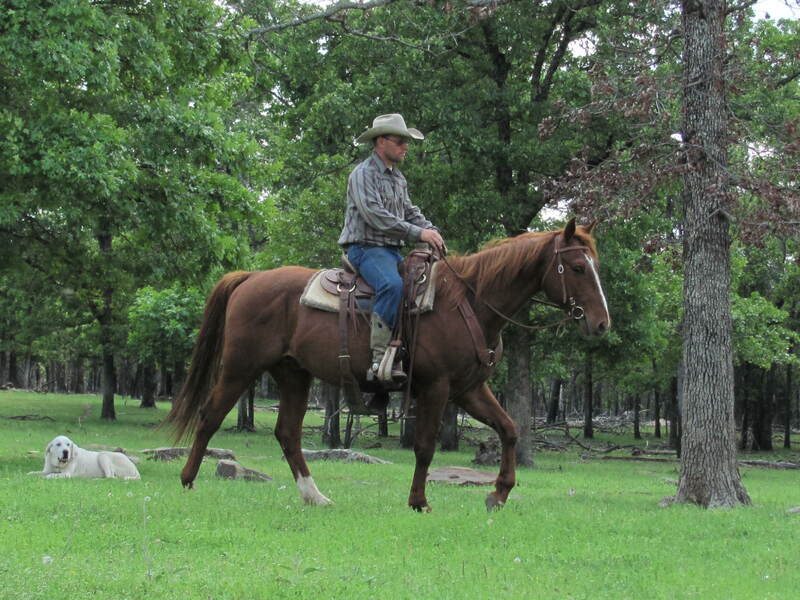 For several years, we would take a barn sour horse and make sure we had plenty of time at the end of the ride. We just rode back and forth in front of the barn for 45 minutes to 2 hours letting the horse figure out we weren’t going to quit riding until he could walk out away from the barn and then slowly walk back. Coupled with some long trail rides from time to time, we could usually clear up the attitude in a few weeks. Recently, Shawn showed us a slightly different version of the method that we like even better. While riding a horse that really handles pretty well, we both noticed the long gaze back and the seeming willingness to turn around if someone didn’t stop him. It wasn’t a problem, just the slight annoyance and the recognition that if uncorrected, it would probably get worse. As we rode and discussed what we were seeing, Shawn gave me his thoughts. When we get finished with what we are doing, let’s head back to the barn to change horses he said. “Except before we do, let’s take about a 15 minute break here on the trail and just let that horse stand and enjoy the cool shade.” Now I have to tell you that I had heard of lots of ideas to correct a barn sour horse, but letting him stand in the shade was a new one. We got off and Shawn suggested that I pet him and make him really enjoy the opportunity to stand relaxed. After our little recess, we started back and he said, ” When we get to the barn, I’m going to trade horses. You just ride right into the area in front of the barn and make his feet move! You keep him in turning, trotting, backing, and just make him work. Don’t stop and make sure when we ride back out that he’s sweating and breathing!” So I did. The concept was to teach the horse to enjoy the time away from the barn. You see the horse learned an important lesson that was positively reinforced. When we go to the barn it means work and when we go ride the trail, it means shade and being petted a little. Now this horse may not be real smart, but he was able to connect the dots. If you have a horse that is starting to show indications of wanting to go back to the barn, address it early. It is a lot easier and safer to correct the attitude before it becomes more than just an annoying attempt to look back or turn around. Depending on your horse, it may only take two or three times to make the point and your rides will be a lot more enjoyable. You should be able to mount your horse from either side and from any position. When you do ranch work, it is not always convenient to climb on your horse in the traditional manner. There are times that mounting from a fence, rock, truck or other place is needed. You may have a calf or tool to carry in the saddle with you that is hard to hold while you climb aboard. It is simpler to slide over with the load and avoid trying to mount with it. Small children are another good example. When really small, it’s not real hard to get in the saddle while holding them. 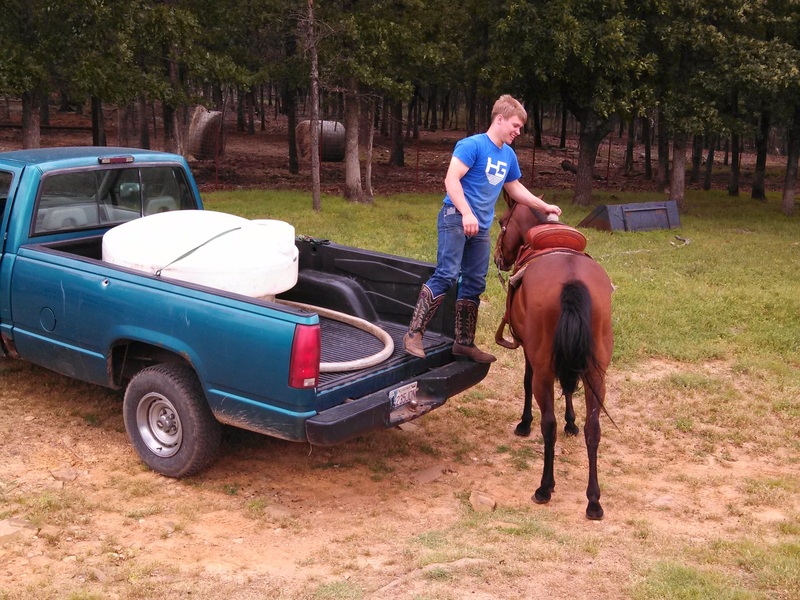 As they grow and get heavier, it is more convenient to have them stand on the back of the tailgate and slide into the saddle. Some people have knee issues from illnesses or injuries and don’t need the aggravation of the joint with the full weight of their body in the stirrup. 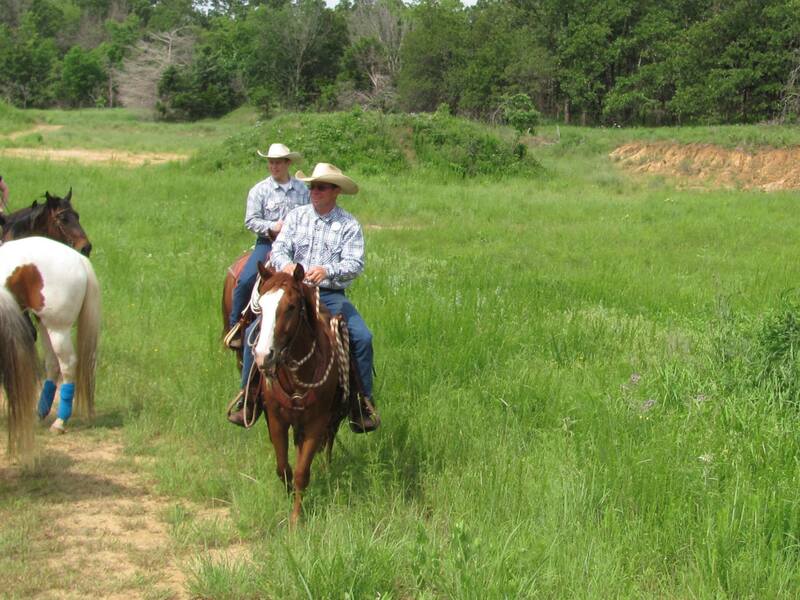 We teach our horses to stand still while you get on or off whether on the tailgate or nearly any other place. It just makes sense for the horse to let the rider mount from more than just the left side in the customary way. 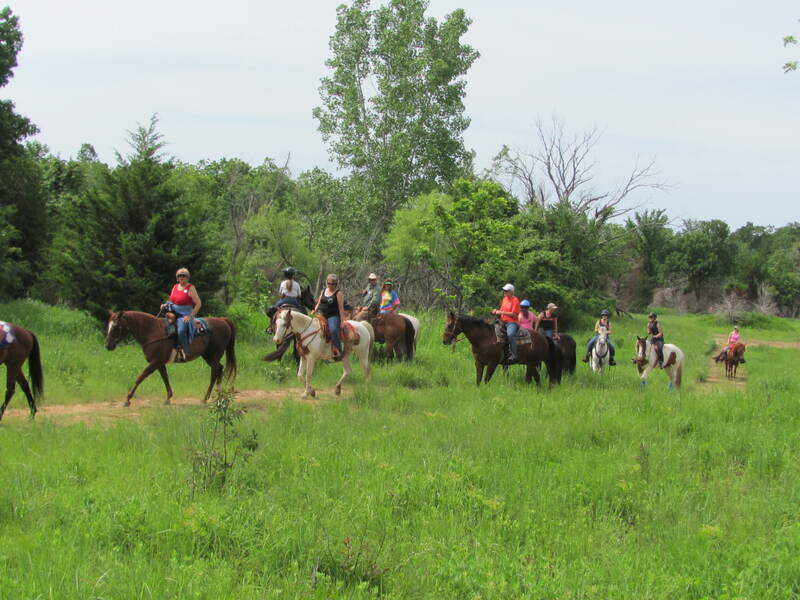 You are currently browsing the horsesfortrail blog archives for June, 2013.